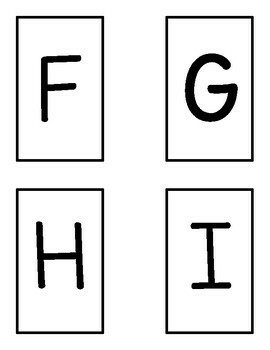 This is a simple preschool activity to play with children at Circle Time or when working with a student in a one- to- one situation. apples, turkeys (Thanksgiving), Santa (Christmas), pigs (farm animals), kids jumping, frogs (pond life), pirates and (transportation) cars. Directions are provided for assembling and playing game; all you need to add is an empty square tissue box and you will be all set! Select your thematic unit and the skill cards you want to review/practice and put them in the box. 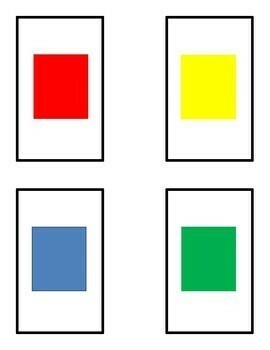 When a child chooses a skill card, they identify the color, shape, number or alphabet letter. If they choose a thematic card, the class stands up and performs the action indicated (verbal or kinesthetic). There are two thematic unit cards, but you can put them back into the box if you want to provide more fun! Activity is easily differentiated by the selection of the skills cards. 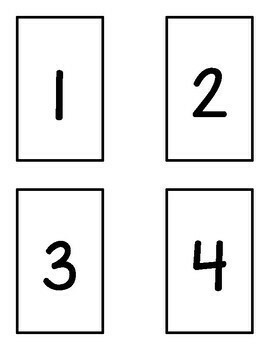 For example, when choosing cards to put in the box, you could only put numbers 0-10, or you could put numbers and shapes in the box together. The flash cards can also be used as an assessment tool. 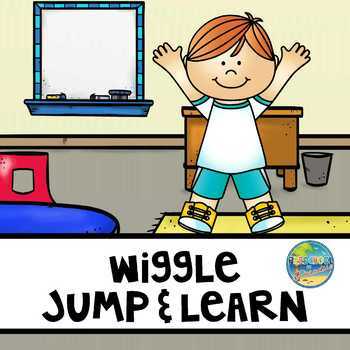 Check out our Preschool Monthly Assessment forms in our store; these forms are coordinated to this activity. If you would like to receive notifications when new products are created and added to the store, please follow us by clicking on the green star in the upper corner of the screen.